Tumblr is currently experiencing an outage that appears to be affecting all users. While the microblogging platform isn’t the most reliable service and often has issues with its Dashboard, specific blogs, and so on, this appears to be affecting all pages. 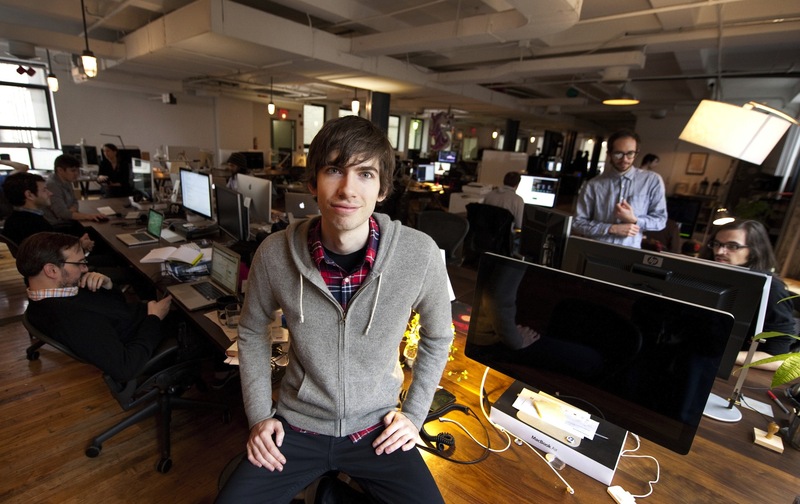 Tumblr has recovered from its earlier issues which affected the service for 6 hours. See the updates below for more. Service is temporarily unavailable. Our engineers are working quickly to resolve the issue. Unfortunately, the “Find out why” link doesn’t work because, well, Tumblr is having problems. Furthermore, the status blog is also down (it’s probably not a good idea to host your status blog on your own domain). Ah, there’s the blue background. Before we saw Tumblr’s tweet, we checked a few other sites that track outages and site problems. We have contacted Tumblr about this issue. We will update this article with more details as we are given them. Update at 5:10PM EST: Now the site appears to be completely dead. Update at 6:15PM EST: Tumblr has taken its site down to fix the problem. Update at 8:30PM EST: Tumblr is starting to come back. 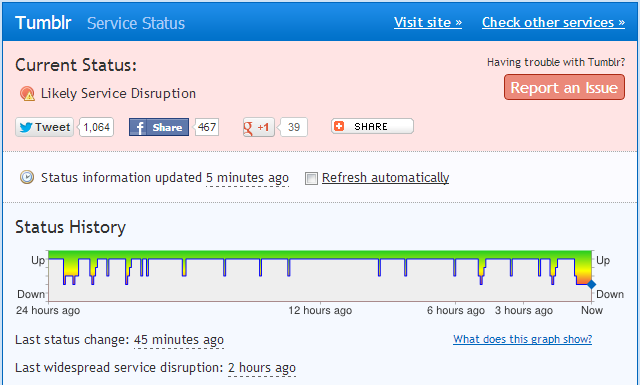 Recovery has been slowed by affected caching servers. Blogs are now coming back online as these caches warm up. Update at 9:50PM EST: Tumblr is back and working fine. Total outage time was almost six hours.